If you live in Kentucky or Tennessee, you are in Region 10 of the American Daylily Society. Each region offers activities, local clubs, and regionally-specific publications. Explore more below. Bluegrass Daylily Garden, Chuck and Jenny Williams, 4122 Lagrange Rd., Shelbyville, KY 40065. Phone: (502) 633-6471. Own introductions and others. Online price list. Gold City Flower Gardens, Del Amend, 6298 Gold City Rd., Franklin, KY 42134. Phone: (270) 776-6584. Daylilies, peonies and hostas by others. Online price list. 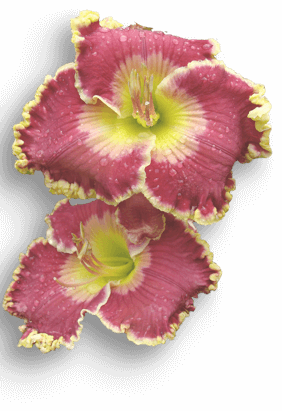 Oakes Daylilies, Stewart and Ken Oakes, P.O. Box 268, Corryton, TN 37721.